I am back from the Black Rock Desert and am swimming in work and home stuff. But I wanted to do a quick update on the pieces I managed to finish while out there. I am still working on the patterns and I started about 15 more objects while there but I have the summer to finish them and the patterns. I hope to show them off here as I finish them. The vastness of the desert was overwhelming and beautiful. It was laid out around me and enveloped me at the same time. 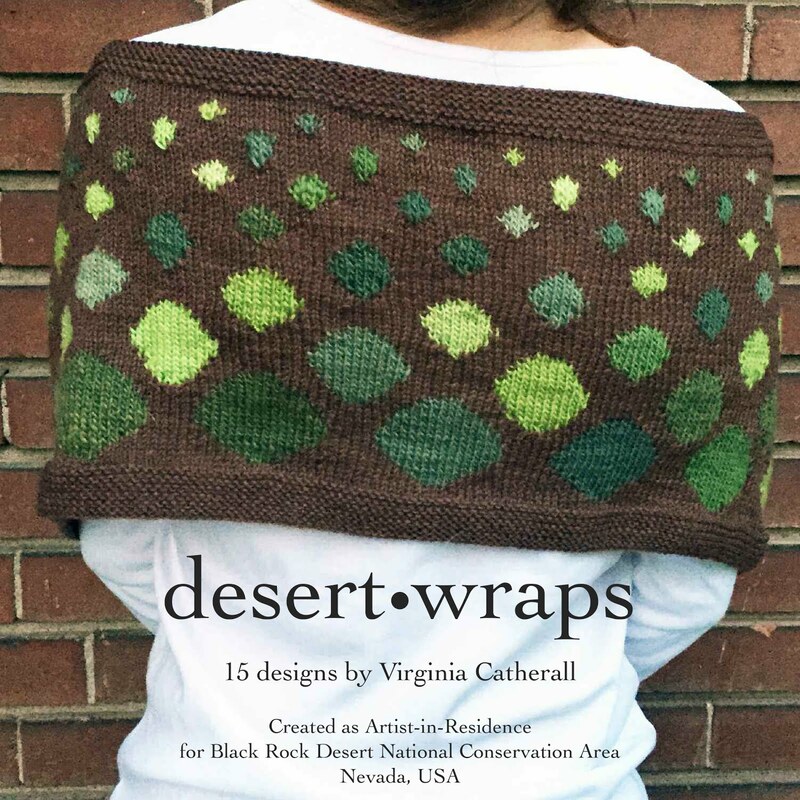 While I was there, all my designs were centered around wrapping myself in the desert. This was apparently my theme for my artist-in-residency: wearable art that allows you to wrap yourself in Black Rock Desert. 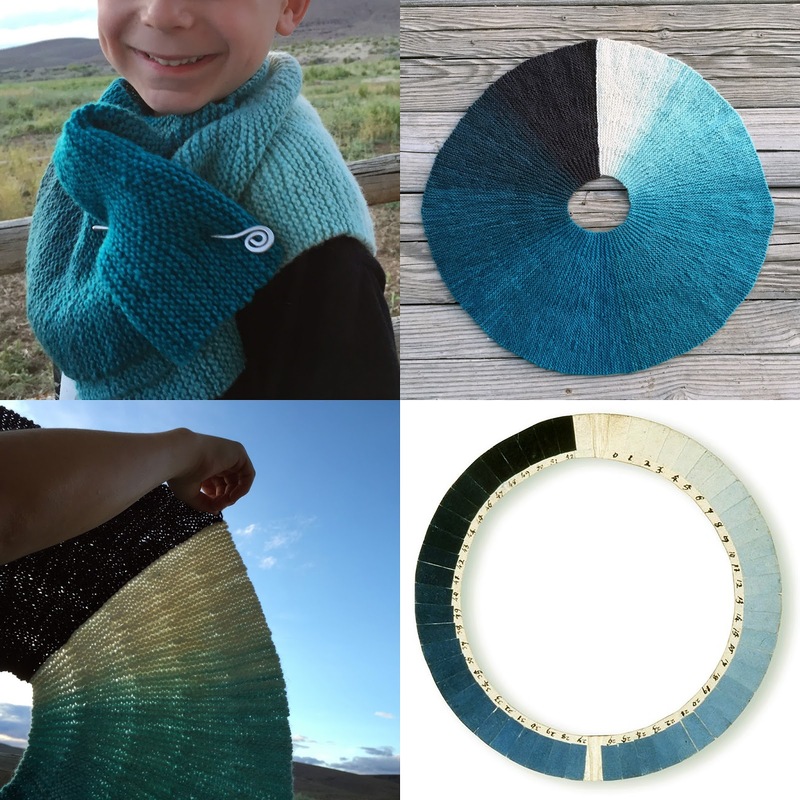 Great Basin Cyanometer: A Cyanometer is an instrument for measuring the blueness of the sky. It was invented in the 1700s by a French scientist who correctly hypothesized that the blueness was dependent on the amount of water vapor in the atmosphere. In the Great Basin the dry desert air makes the sky rest firmly in the bluest area of the cyanometer. 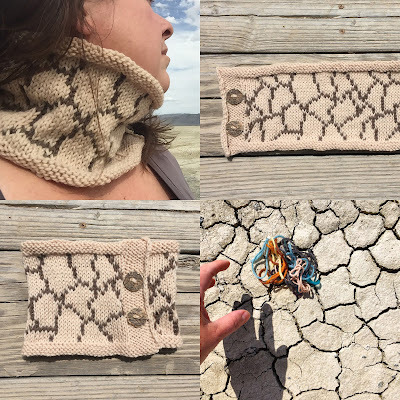 Mudcrack Muffler: A lot of the designs I am planning are larger and will take the summer to knit up and make the pattern. So I wanted to challenge myself to design and create a piece all in one day. 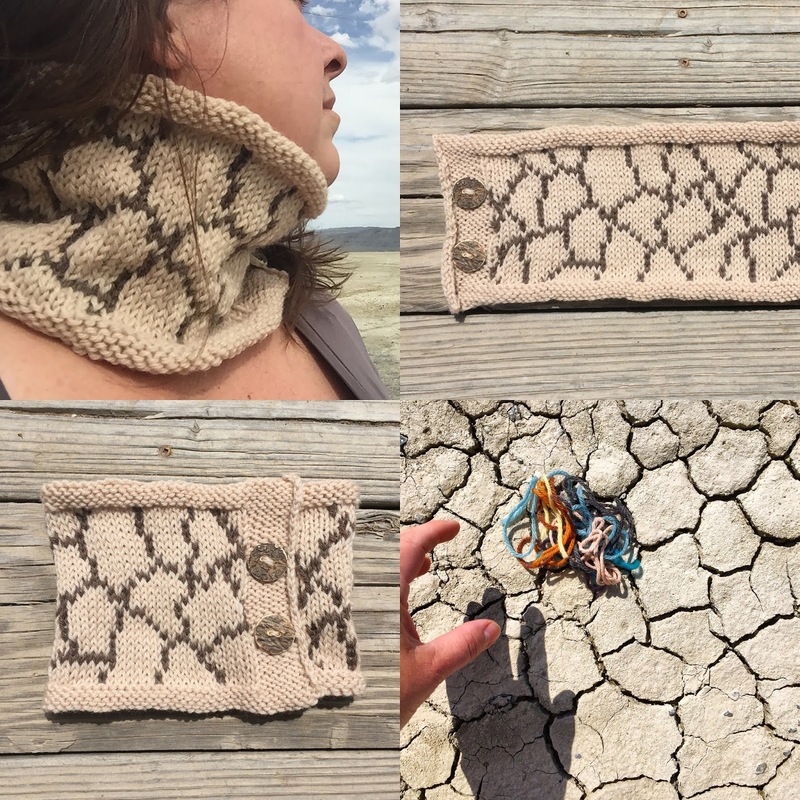 This goofy little knit only took me 5 hours to design, swatch, knit, and create the pattern. I am definitely within my theme of wrapping myself in the desert! Mud Crack Muffler. 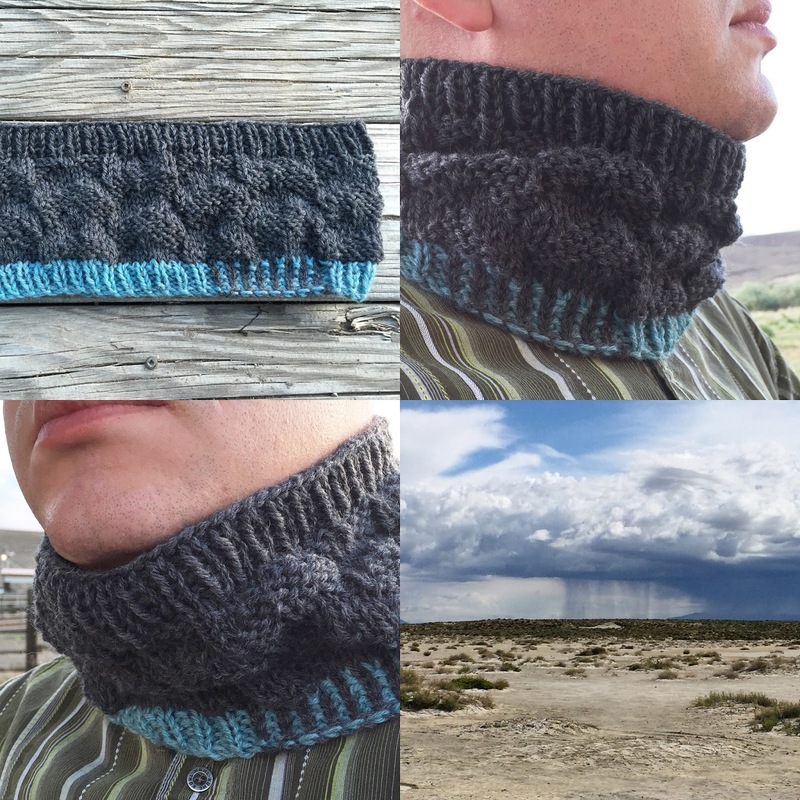 Cloudburst Gaiter: If you could sketch in knitting this piece would definitely be one. With all the rain we had in Black Rock Desert I wanted to do something with clouds. 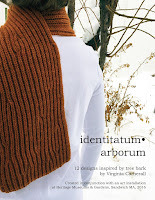 I made this quickly with only a vague plan in mind when I started: Cloudburst Gaiter, a knitted sketch.